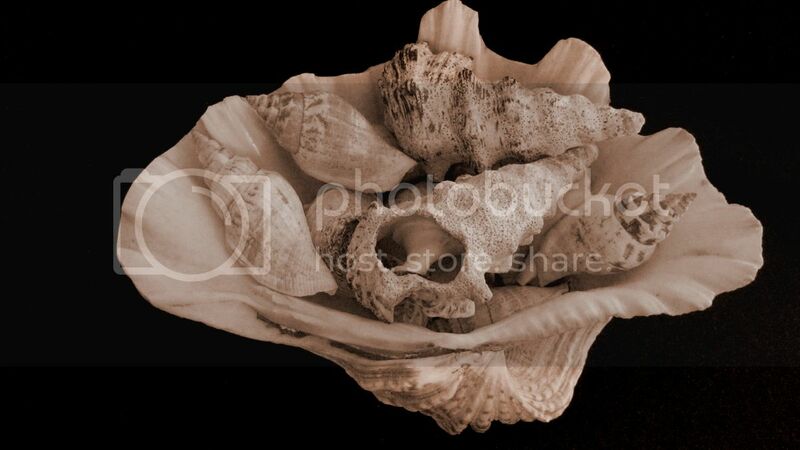 Here are my seashells posted in sepia. If you want to see the real color of the shells it's here. If you've posted a sepia photo sign Mr. Linky so we can all go visit you. Amazing how these shells were formed naturally, instead of being formed by clay and a kiln. 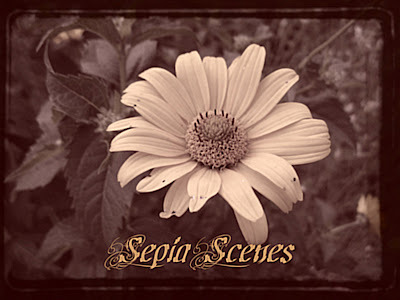 Lovely captures in sepia! no linky for me either--but I absolutely love the shells in sepia. There is something about shells that speak to the inner person. No Mr. Linky yet for my either. What a beautiful and interesting shot of the sea shells! I really love it! Such a sweet arrangement of shells. The shells have such lovely shapes and textures! The original image is a lovely natural sepia color. Beautiful shells. This could be straight out of my own collection. What a really feel good picture this is. My grandmother collected shells. This is a beautiful pic and makes me smile with memories of her. Looking forward to visiting other sepia scenes today! I couldn't choose which to post so I offered three. Hello! Your shell and other photos are very nice! I joined in this week from my 'Mary says' blog. Neat photo of the shells in sepia. Beautiful shell shots. I am a passionate collector of sea shells. Never stop getting amazed by the beauty of each single one. Not many years ago I saw a report of an intricate sea shell grotto, built in England at the end of the 19th century. Wow, I'm not alone, was my first thought. How was this possible, came up next. I made it! I hated to miss Ruby Tuesday yesterday. The shells are graceful and lovely. Still didn't see Mr Linky....mine is up! Sorry Linkey is broken.... Here is my entry. No LinkY? I can be found HERE! Happy SS Mary!! My 90th S.S post..unbelievable!! p/s: Looks like Mr Linky is on strike once again. Great pic of the shells!! Lovely picture of those shells. the shells in sepia are very interesting. Is Mr.Linky not in use anymore? Hay, your photo is amazing. Lovely shells. They look great in sepia! Lovely shells. Looks absolutely nice in sepia. No Mr Linky this week Hope you can find me.